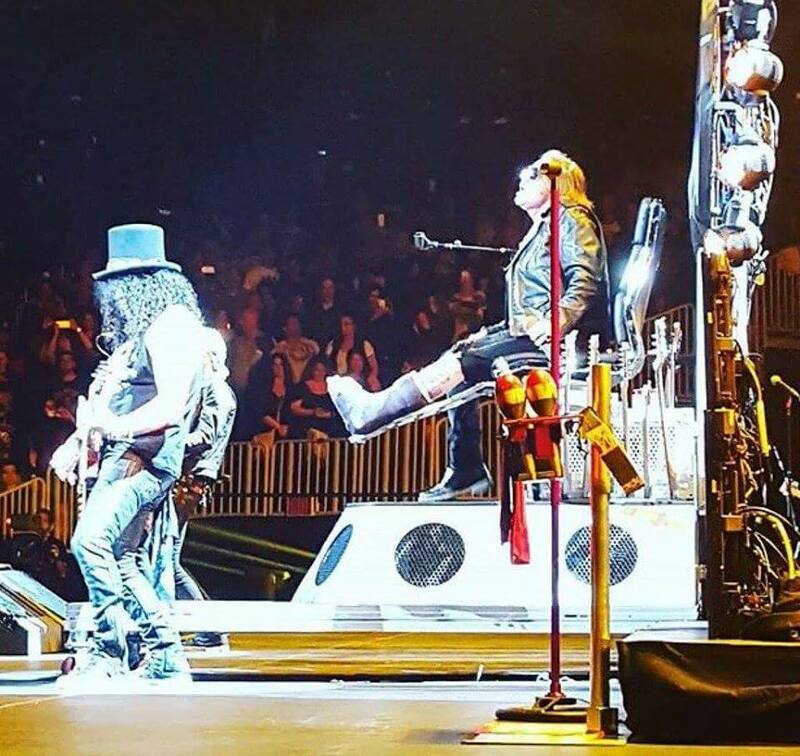 Axl broke his foot at Guns N' Roses' show at the Troubadour last week, and he is now using Foo Fighters' Dave Grohl's throne that he used on Foo Fighters' 2015 tour after breaking his leg. 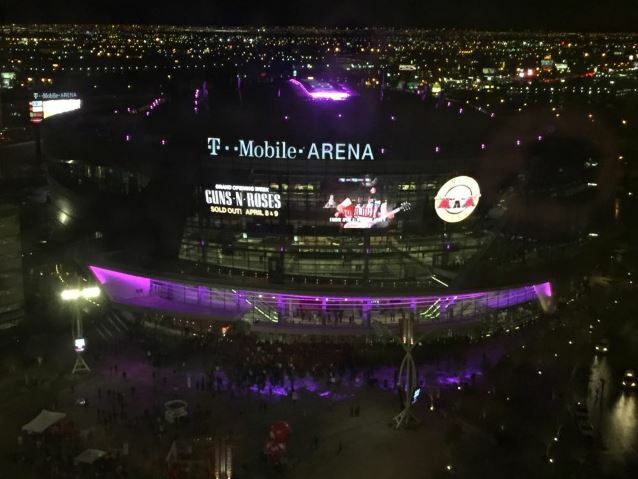 Axl Rose debuted in the throne at Guns N' Roses' show in Las Vegas at the T-Mobile Arena. Dave Grohl attended the show, and was filmed with Duff McKagan's daughter Grace. Axl Rose thanked Dave Grohl for the throne saying: "I just want to thank Dave Grohl for this. He's a very nice guy."